Who knows when you'll be back? It doesn't matter, you've got everything you need with you. Make your Sabbatical exactly how you want it. Includes exterior pant & trim color of your choice, interior primed walls, sealed vinyl floor, & curtains. Call for availability. Includes convertible bed/bench combination with cushions, kitchen counter with drawers, & table. Add 300 lbs. to weight. Water and electric system sold separately. Available on pre-built models at this time. Sixty page fully illustrated shop manual. Full of tips and techniques for building your own gypsy wagon. 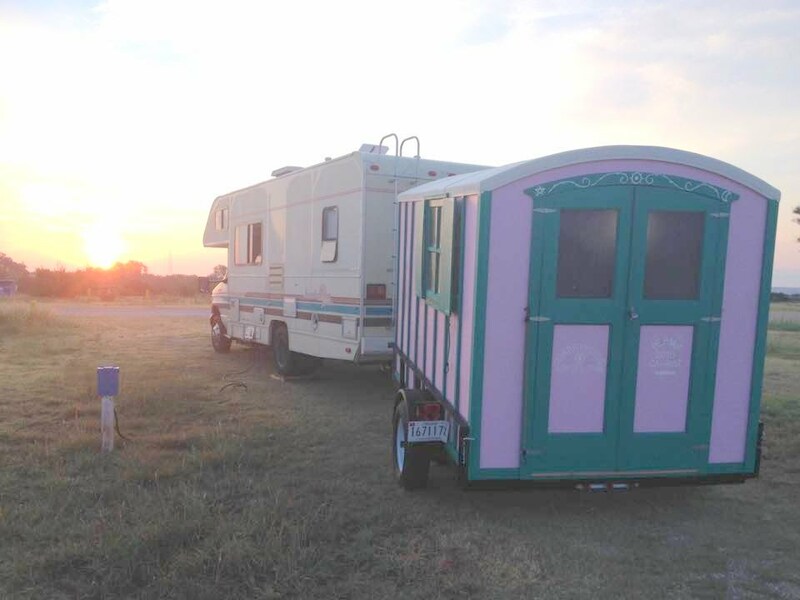 Complete building plans for a 6 x 10' Road Gypsy wagon. 3 sheets 1/4" AB marine plywood precut to 48" x 48"
Shipping charges are approximate. Contact us for accurate rate!